The data economy is driven by consumer information, what analysts have called ’the new oil’ of the twenty first century. In a race to information dominance, companies operating in the digital economy also acquire information from data brokers that gather information about millions of people. Data brokers collect all sorts of information on consumers from publicly available online and offline sources (such as names, addresses, revenues, loan default information, and registers). They are major actors in the data economy, as more than 4000 data brokers operate in a market valued around USD 156 billion per year. Data brokers therefore possess considerable amount of information that they can sell to help firms learn more about their customers to better target ads, tailor services, or price discriminate consumers. Competition between firms is thus influenced by how much consumer information firms can acquire from data brokers. The International workshop on the data economy will focus on data brokers’ strategies and their impact on markets. Issues related to data collection and competition will be discussed. Event for all audiences - free of charge - upon registration. Scheduled program and registration formular. N°2 - March 2018 - Signs of trust: What impact can labels have on the management of our personal data? 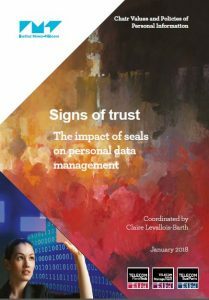 In this report, The Chair Values and Policies of Personal Information tackles the issue of trust from 4 multidisciplinary perspectives: legal, technical, economical and philosophical. Trust, as the foundation of any society, underpins all institutional and commercial exchanges as well as the role these exchanges play in building a cohesive social body. Yet we are currently experiencing a crisis of trust most likely enabled by digital technologies, since the social ties preceding digital commercial exchanges are not old or strong enough and consumers are not always aware of the “quality” of digital goods, even after consumption. What are different forms of trust, and how are they changing? The Chair Values and Policies of Personal Information was launched by the Institut Mines-Telecom in April 2013. Created in partnership with the IN Groupe, BNP Paribas and Dassault Systemes, the Chair benefits from the collaboration of the Commission Nationale de l’Informatique et des Libertés (CNIL), the French Data Protection Authority and is also supported by the Telecom Foundation. - Philosophical accountability and anticipation of the societal consequences. - Pierre-Antoine Chardel, Professor of Philosophy and Ethics at Telecom Business School. The Chair aims to help companies, citizens and public authorities in their reflection on the collection, use and sharing of personal information, i.e. information about individuals (their personal lives, their professional activities, their digital identities, their contributions on social networks, etc.) including those collected by smart objects that surround them (smartphones, smart meters, etc..). - Social Value: What new services should be provided and how can trust be established? In other words, how do we preserve what characterises a human being, namely the commitment to the principles of freedom, autonomy and accountability? 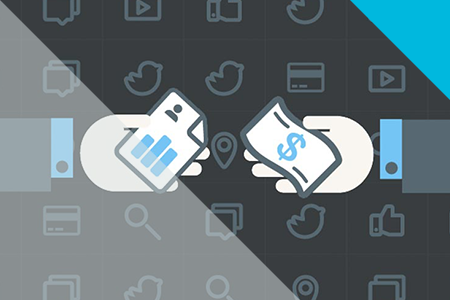 - Economic Value: how does personal information contribute to the creation of value? How do we to combine public data, private data and business data to develop products, services and innovative strategies? - Control: who controls or should control personal information? How can we ensure its technical and practical security? - Regulation: how the information is or should be regulated from legal, economic and ethical point of view? and legal and technical security.